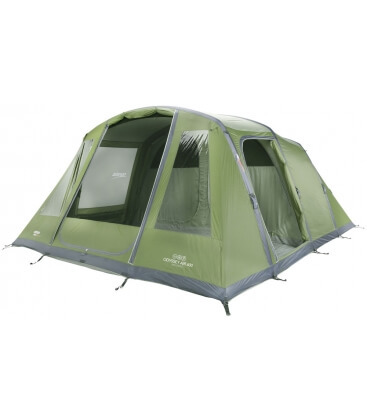 The Vango Icarus 600 Airbeam, an ideal 3 bedroom tunnel tent for families or couples that want to travel with a bit of extra room. 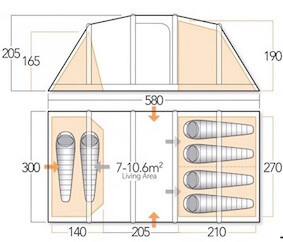 With head height to move around in the middle, separate sleeping areas can be quickly clicked into place which provide individual privacy using a divider or combined to form one large bedroom with another bedroom at the other end. 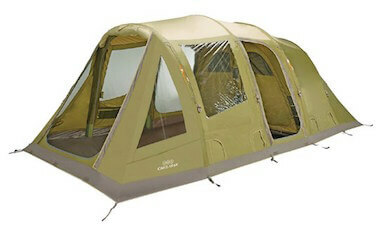 A fully sewn-in groundsheet will help to keep out the elements and insects at bay. 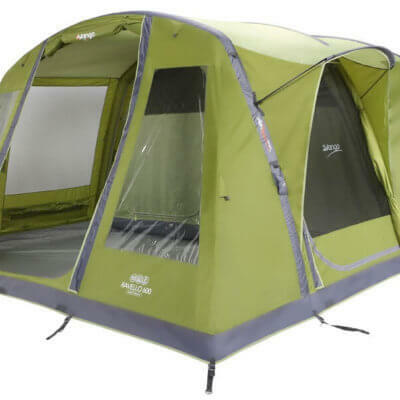 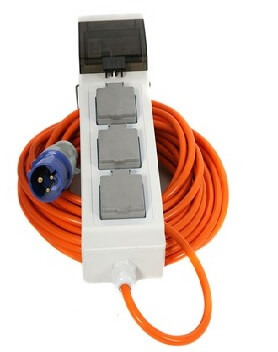 Fluorescent guylines provide strength and stability and the large corner widows with vents help create a comfortable and light feeling inside the tent.